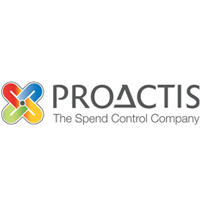 PROACTIS Holdings PLC (LON:PHD), the global spend management and B2B eCommerce solution provider reported today a preliminary update on trading for the financial year ended 31 July 2018 and announced that it has entered into an agreement to acquire the entire issued share capital of Esize Holdings BV, a Netherlands based procurement software business for buy side organisations for a maximum consideration of up to €15.2 million. PROACTIS’ expects to report revenue1 of approximately £52 million and Adjusted EBITDA1 of approximately £17 million for the year ended 31 July 2018. Further, deal intake was strong with 64 new names with a total initial contract value of £8.7m (2017: 54; £4.1m) and 119 (2017: 110) upsell deals. Net debt2 as at 31 July 2018 is expected to be approximately £30 million. The Company is in the process of closing out its year-end and expects to provide a more detailed trading update on 22 August 2018. 1 Revenue and Adjusted EBITDA are both unaudited and Adjusted EBITDA is stated before the Company’s assessment of non-recurring administrative expenses, amortisation of customer related intangible assets and share based payment charges. Esize is a recognised territory leader in the Netherlands for its cloud-based spend management solutions. Its solutions cover the full procurement cycle for indirect spend and provide PROACTIS with additional capabilities in the travel and expense management and contract labour markets. These are two markets which are adjacent to, and of an equivalent size to, PROACTIS’ core indirect product procurement proposition. The Board believes that they will become increasingly important to mid-market buyside customers going forward. It has approximately 60 customers across the private and public sectors and approximately 50 employees. Esize has a SaaS based business model, which is consistent with PROACTIS’, and which delivers high levels of contracted annual recurring revenue with high retention rates. Esize’s recent growth rates have been above 10% per annum and it has historically delivered comparable profitability margins to PROACTIS. The acquisition will also benefit PROACTIS by creating a scaled operation in The Netherlands, where it will consolidate its existing operations. It will also allow PROACTIS to access growth opportunities through the cross-selling of complementary capabilities to both customer bases. The Board expects this Acquisition to be immediately earnings enhancing. For the year ended to 31 December 2017, Esize reported revenue of €5.1 million (c.19% YOY growth), €1.7 million of EBITDA (c.14% YOY growth) and a profit before tax of €0.6 million (c.48% YOY growth). The maximum consideration payable for the Acquisition (subject to minor working capital adjustments) is €15.2 million. This comprises an initial consideration of €14.2 million and a deferred contingent consideration of between €0.5 million and €1.0 million based on achieving certain revenue targets for the year ending 31 July 2019. (iii) €3.0 million by way of a convertible loan note (see below). The Deferred Consideration will be satisfied by way of a convertible loan note of between €0.5 million and €1.0 million which is convertible on or after 1 November 2019. The amount of Deferred Consideration payable will be calculated on a sliding scale based on Esize achieving revenues between €5.5 million and €6.0 million for the year ending 31 July 2019. All consideration payable in Ordinary Shares will be issued under the Company’s existing authorities and will be subject to a one-year lock in agreement and a further one year orderly market agreement, from the date of admission of the Ordinary Shares. (ii) In respect of the Deferred Consideration, 1.1254 EUR/GBP and then by dividing by the negotiated conversion price of £1.75 per Ordinary Share. Pursuant to the Initial Consideration, application has been made for the 1,292,491 new Ordinary Shares to be admitted to trading on AIM and dealings are expected to commence on 13 August 2018. The new Ordinary Shares will rank pari passu with the Company’s existing Ordinary Shares. The total number of Ordinary Shares in issue following Admission will be 94,528,614. Accordingly, the figure of 94,528,614 may be used by shareholders as the denominator for the calculations by which they will determine if they are required to notify their interest in, or a change to their interest in the Company under the FCA’s Disclosure Guidance and Transparency Rules. Hamp Wall, CEO of PROACTIS Holdings PLC commented: “I am encouraged by the expected out turn for the year, particularly with regard to underlying growth driven by the rate and value of new deal intake and upselling activity which are key indicators of the relevance of our solutions and our ability to sell. I am optimistic that this will continue for the foreseeable future and that we are confident of returning to normalised levels of growth and churn into FY2019. “Acquisitions are a key part of our Group’s growth strategy and Esize perfectly satisfies our acquisition criteria. We are excited by this growing, profitable and cash generative business that brings with it a scaled operation in a key new North West European geography, a SaaS/cloud-based business model delivering security over forward revenues and an additive technology stack. Click PJHD for the full archive.